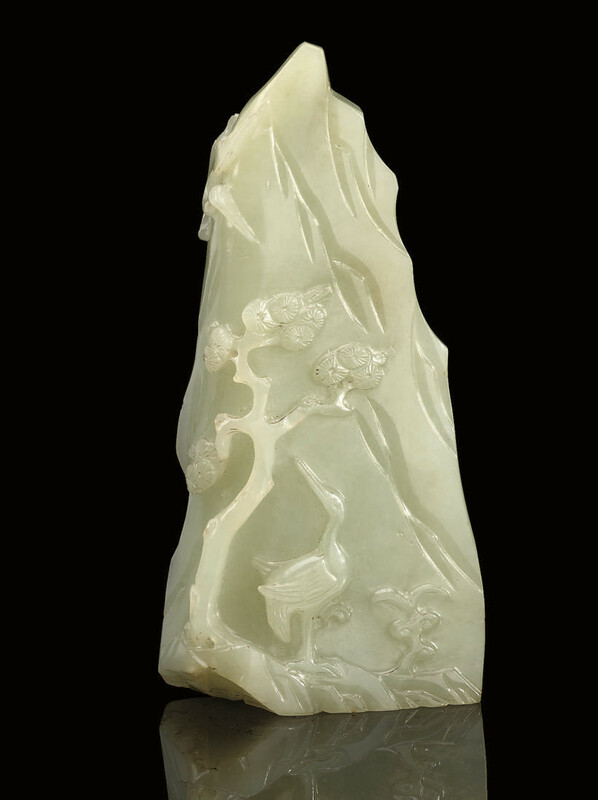 carved and pierced in relief with a crane standing on rockwork before a pine tree, with a further crane in flight above, the reverse of the mountain rockwork carved with bamboo -- 3 7/8in. (9.9cm.) high.